Digital ticketing has changed the way events organizers sell tickets. Not only do these platforms provide convenience for ticket-buyers, they drastically reduce overhead costs for the organizers themselves. However, TicketMaster and other well-known platforms are only practical for grand productions—like televised sporting events and mega-star concerts. What if you organize small scale ones? 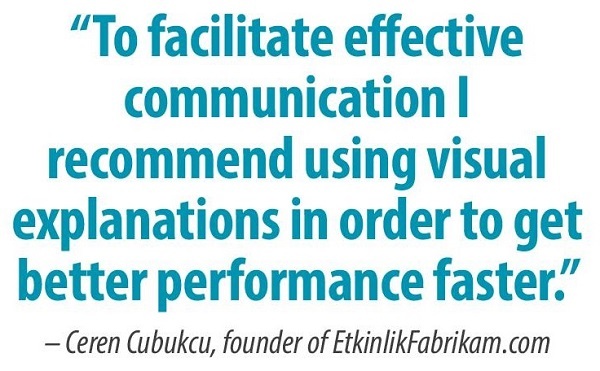 Recognizing this particular need in her native homeland, Turkey, US-based Ceren Cubukcu, an MBA graduate of Bentley University, took matters into her own hands—she created her own self-service digital ticketing platform, Etkinlik Fabrikam (My Event Factory). 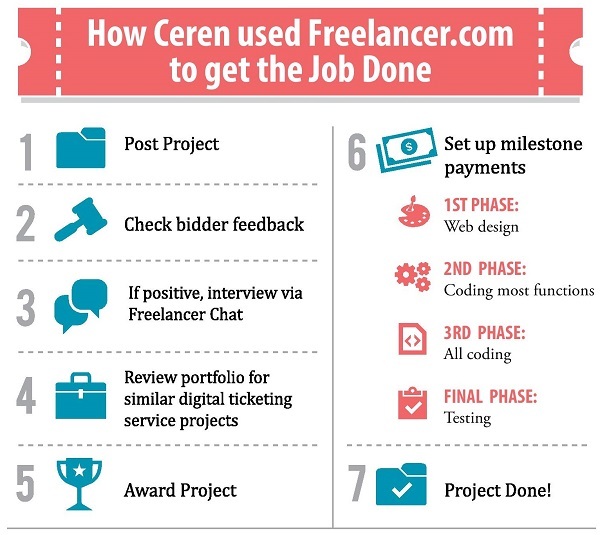 With development out of the way, Freelancer.com also provided marketing solutions. Ceren was able to have 2 promotional videos made for only US$900. She hired a Ukrainian videographer, who was able to produce them in Turkish. “When he bid on the project, he sent me a message that he can speak Turkish and fulfill my request,” Ceren recalls, noting her initial skepticism. “ Then I responded in Turkish to find out if he was fluent and he was.” The videos, which will be embedded on the homepage, can be viewed on www.youtube.com/user/EtkinlikFabrikam. For US$2000, she now has a ticketing website that will serve as a springboard for future development. Eventually, she plans to add more features to it based on feedback from potential customers. The site will go live once it has been translated into Turkish. “I didn’t ask for quotes from other companies but I know from my friends who have paid to build an e-commerce website that it costs more than $2000,” she adds. “I had a limited budget so I didn’t want to use any US web agencies. I also didn’t want to use any Turkish web agencies because I didn’t want my idea to be stolen or cloned. The best choice for me was to hire offshore web developers through Freelancer.com for my project, and I am glad that I did. “I am happy to see my idea turned into a product. The prototype has helped me get pitching opportunities to potential angel investors. Moreover, the site winning second place in a startup competition called ‘Women Movement in Technology’ in Turkey increased my credibility.” The competition was sponsored by Vodafone Foundation Turkey, in cooperation with the Women Entrepreneurs Association of Turkey (KAGİDER) and Turkish Informatics Association (TBV). Ceren received 10,000 TL (Turkish Lira), is equal to US$5,555, as capital to fund the project.